4 Bedroom Detached House For Sale in Yelverton for Guide Price £320,000. 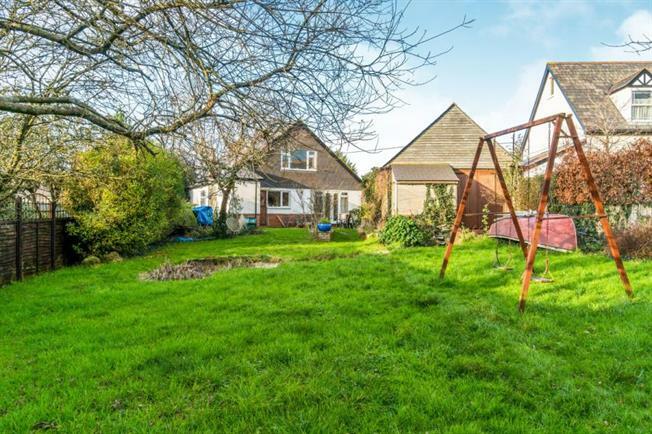 Guide Price 320,000 - 330,000 A unique and lovingly restored four bedroom detached dorma bungalow situated on a generous plot in the popular village of Bere Alston. Retaining much of the original character, the property was rebuilt by the current owners and offers four double bedrooms, spacious living accommodation and a fully enclosed rear garden. The property boasts a large garage/workshop and extensive parking. A viewing is highly recommended to fully appreciate this superb home, call us today to arrange an appointment on 01822 616121. Door into entrance porch, tiled flooring and door into entrance hallway. Double glazed window to side, solid wood flooring, radiator, feature fireplace. Double glazed obscure window to side aspect, low level WC, hand wash basin with mixer tap over, partly sunken corner bath, electric shower over, towel heater, tiled flooring and tiled walls. Dual aspect room with double glazed window to side and patio doors to the rear, two radiators, solid wood flooring, step down to kitchen. Dual aspect room with double glazed window to side and rear, stable door to rear garden, space for range style oven unit, a matching range of wall and base units with roll top work surfaces and tiled splashbacks, tiled flooring, built in fridge and freezer, sink unit with drainer and mixer tap, under stairs larder. Large landing space with eaves storage, radiator, skylights. (Partial limited head space) Double glazed window to rear with views over the garden, two radiators, door into en suite. Velux windows to side, four piece white suite comprising panel bath with taps over, partly tiled walls, low level WC, shower unit with shower over, hand wash basin and towel heater. Dual aspect room with double glazed window to front and side, eaves space storage, radiator, loft access. Stable wooden doors giving access, two double glazed windows to side, work space and workshop, lighting and power, over head storage. To the front of the property there is a large driveway for five/six cars leading to the garage, and a front lawn area with mature shrubs. The rear garden is fully enclosed and mainly laid to lawn, with a range of shrubs and trees. There is a vegetable patch to the rear and two further outside storage sheds.